The Bamboo Bar is one of the most charming places in the world. Three metres underneath are solid steel-concrete walls, secret chambers and iron doors. 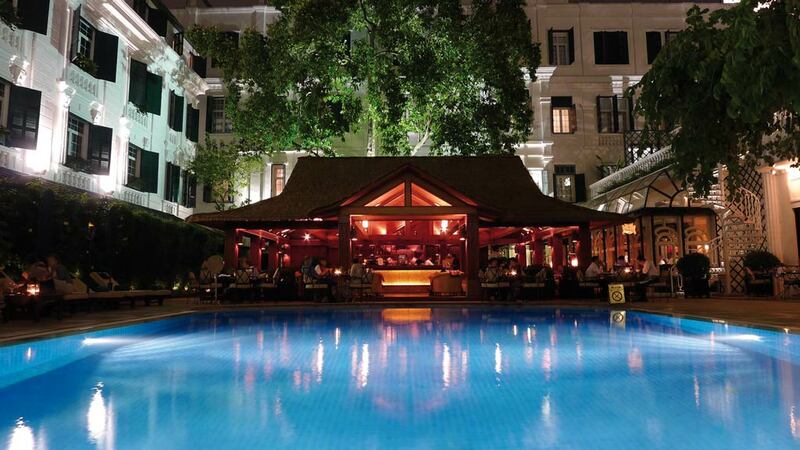 The Bamboo Bar at the legendary Hotel Metropole in Hanoi is a charming outdoor venue, and when, in August 2011, it was time for its renovation, general manager Kai Speth encountered an unusual challenge. During drillings for a reinforced foundation his engineering team hit a piece of concrete too large to ignore. ‘That’s the bomb shelter,’ Speth realized immediately and ordered his team to continue digging. For decades nobody had a clear idea about where the shelter was. Rumour had it that it was still down there. But where? And what did it look like? Speth and his chief engineer decided to explore the concrete cubicle underneath the bar. They worked their way through more than two metres of earth and reinforced concrete and the shelter’s 278 millimeter-thick ceiling to emerge into a 40 square-metres space, divided into five interconnecting rooms by heavy metal doors. The shelter was completely filled with water. It took a full week of pumping before the water level was brought down to 20 centimetres, and Speth could splash down to explore. The shelter was in an excellent condition, with the exception of its iron doors and electrical fittings, which had corroded over the decades. Its heavily armed surrounding explained why the pool next to it is actually shallower at that end. The bomb shelter was officially re-opened in 2012. Today it forms the climax of the Path of History at the hotel. 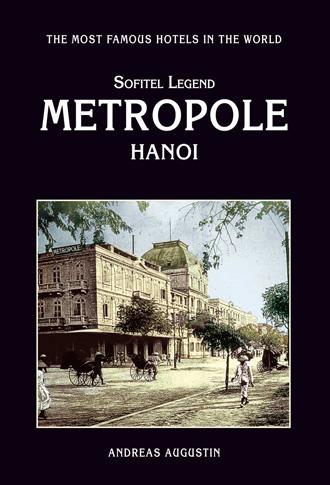 Every day guests enjoy the tour into the past of the Metropole. It spans from colonial heydays to its most depressing times, when bombs rained from above and guests sought refuge under layers of concrete in the courtyard. Those were the days when Joan Baez held a Christmas party at the lobby, Jane Fonda condemned US pilots dropping their deadly cargo over Vietnam and Nobel prize winners joined peace activists at the hotel, the only relatively safe place in Hanoi, to demonstrate for an end of the war.